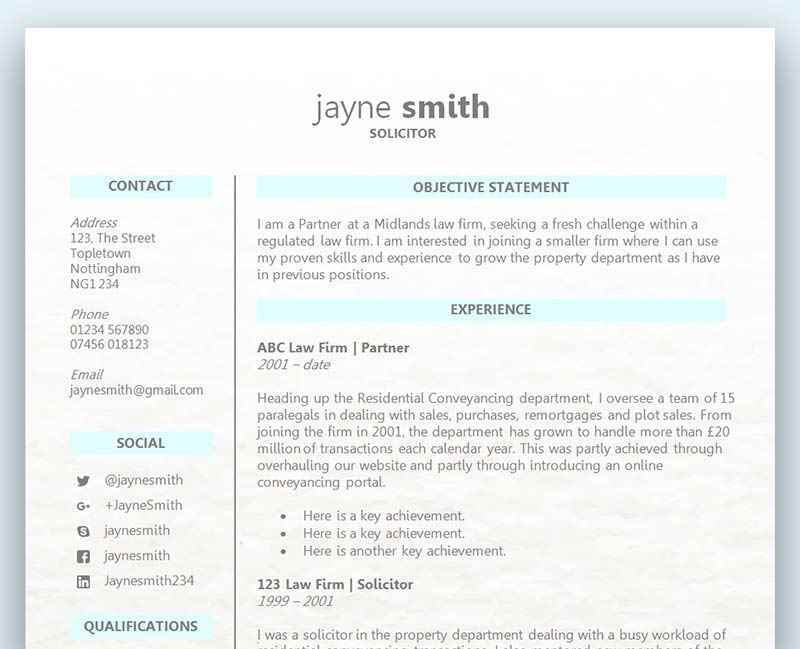 You'll love filling in this super easy CV/Résumé template with your details and viewing the end result. There's nothing fiddly about the template - where you need extra space or rows you can simply use copy and paste to create additional sections. The template is yours to customise as you like, provided that you use it for personal use only. Simple Purple CV/Résumé template (free download)	Overall rating:	5	out of 5 based on 2	reviews. A splash of colour without too much fuss is all that's needed to catch your prospective employers' eye. Our Simple Purple CV/Résumé template does exactly that - using a bold purple for your name and each of the main headings, combined with soft grey sub headings and black type for the remaining parts of the template. The look is classic yet understated - no gimmicks, no fuss - just a neat, smart layout which is easy to amend to fit your needs and perfectly displays your information. Choose our simple purple CV template/Résumé template if you’d like a classic looking template that’s ideal for a whole range of job titles. This template is so easy to adapt, you can use it whether you’re applying to be a kindergarten teacher or a bank manager! Just alter the headings and paste in new sections as you need them. DON’T make fluffy sweeping statements such as ‘I work well on my own’ or ‘I am a hard worker’. Give evidence in the CV or Résumé that demonstrates these skills. When you use an action word, make sure you provide a specific example – for example, don’t say ‘I overhauled the Company’. Do say ‘I overhauled the Company’s delivery system, saving on average £20,000 per year’. Remember that in many cases you’ll also have the covering letter to support your application. This is a good opportunity to make your case and explain any discrepancies on your CV such as gaps in employment or the reason why you’ve moved around a lot. Ask a few friends or relatives to review your finished CV or Résumé template before you send it off to prospective employers. A fresh pair of eyes can be helpful not only for spotting mistakes but for identifying any questions that arise from your CV which you might not have thought of. We do hope you enjoy using our Simple Purple CV or Résumé template and as always, we’d love to hear your feedback.